As people are adjusting their lives to use products and methods to help protect the environment and combat climate change, the popularity of environmentally friendly, green living products has made itself apparent, even in regards to home swimming pools. This has never been more important as more and more people have to cut back due to changes in economic conditions worldwide. The old ways of cleaning and lighting pools are simply getting too expensive for many people to cope with. Interestingly, solar power and solar energy have been at the forefront of the changes being made to pool products. There are so many people changing the chemicals that they use to clean their swimming pools, but few may be aware of the latest innovation to hit the worldwide green shelves, the ability to let the pool clean itself. Yes, the solar pool skimmer is not a thing of science fiction, run off solar energy and skimming the top of the water layer for dirt, microbes and other nasties. Of course, the obvious benefit is that clean water equals a healthier and better swim. Fitter is easier if you don’t get sick all the time, right? Solar power water purification is so advanced that the water from your pool is good enough to drink! The latest gadget can filter up to forty thousand litres of water a day, making water in pools reach 80% purity, removing microorganisms and algae, even preventing it from forming in the first place. This standard so high that the EPA classifies this level of cleanliness as being fit for human consumption, though few may drink water filled with chlorine. However, the first clean can take about 2 weeks, most of the parts can last only about one to two years and bigger pools need multiple devices to be successful. Best of all, your skin with feel less dry and irritated because the amount of chlorine needed to keep your pool sterile decreases. Where are the Glowing Plankton in Pool Lighting? Pool lighting, especially at night has always been a contentious topic, even before the move to use greener products came into the mainstream. Of course, the glowing light that many recall from ocean documentaries can hardly be transported into chlorinated pools; the plankton would simply die. However, one bright company has evolved the natural phosphorescence of plankton so that pool owners like you can use it. In fact, it works by covering the floor and walls of a pool with solar light sensitive gel type paint. This absorbs the sun’s energy during the day and like a solar garden light, lights up when the sun goes down. Now anyone can enjoy swimming at night without annoying the neighbors and having to pay a fortune to keep the lights on. Solar power electricity systems are not always the cumbersome behemoths found on roof tops. Now with solar energy being harnessed from tiny electronics and even paint gel, the possibilities for pool owners is amazing. 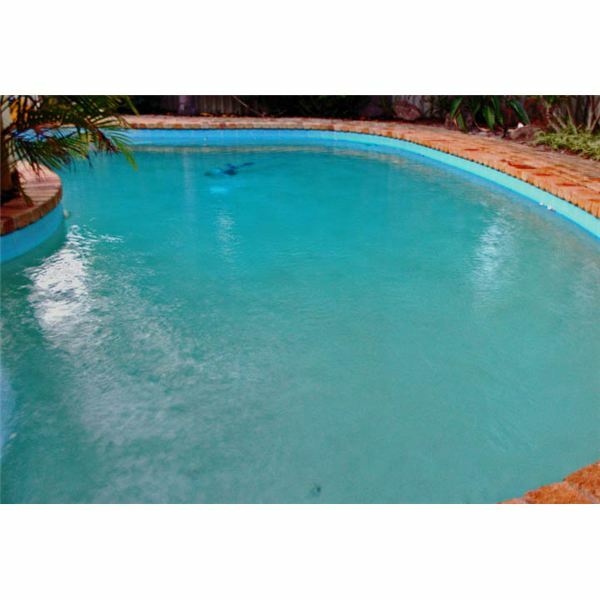 There are even solar pool water heaters and solar water heating blankets for pools. Though many of these earth friendly pool products are now seen in major outdoor goods, hardware and pool retailers, the evolution of green living pools still has a long way to go. However, as this solar technology age speeds up, the chances are that almost everyone will be able to set up their own solar powered and cleaned swimming pool in even the smallest of spaces.